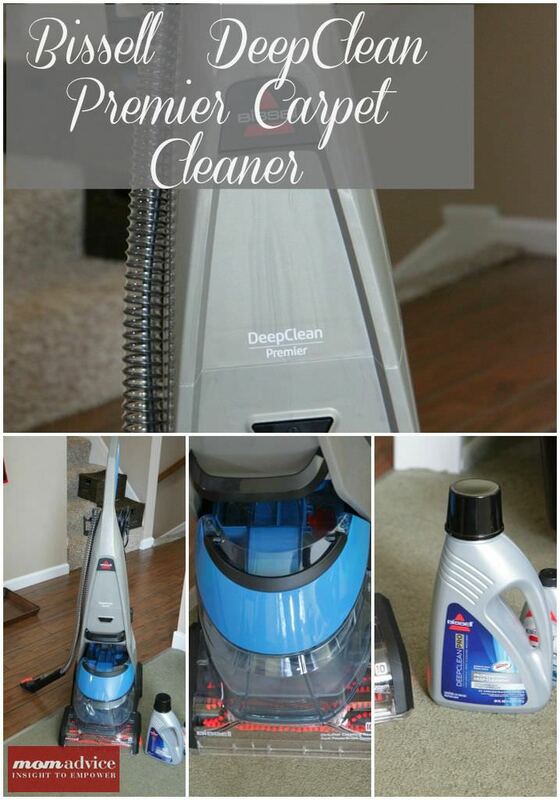 I have always been a huge fan of BISSELL products and I am excited to share my review of the new BISSELL DeepClean Premier Carpet Cleaner. The BISSELL DeepClean Premier is one of the newest additions to the BISSELL cleaning tool lines and, as all the other products I have purchased from the company, I have to say that this is one of my new all-time favorites. 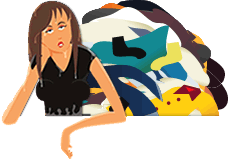 When I show you the results from my cleaning adventure, you will see why. This carpet cleaner is of a moderate size (roughly 25 pounds) and comes with smart attachments for deep cleaning spots or for cleaning your upholstery in your home. The front offers a simple and straight-forward bucket design that has a small spout where you pour 5 ounces of your carpet cleaning solution and then you simply fill the generously sized bladder (1.25 gallons) of the unit to the fill line with water. The on button is in the middle of the front of the unit and once you start it, you can begin cleaning your carpet with the dual powerbrushes that offer ten cleaning rows that can help loosen and remove the dirt in your carpet. 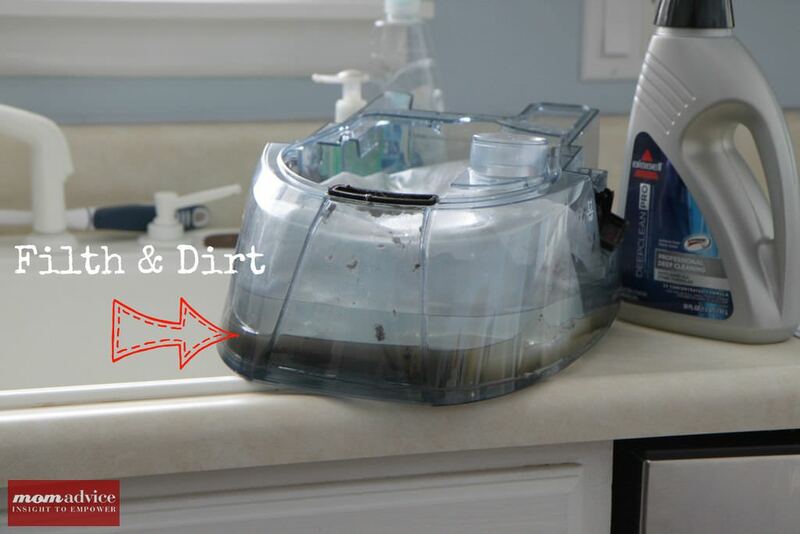 Push the trigger button on the back of the handle and it releases the cleaning solution, then go back and forth over the carpet to suction up the solution where the dirty solution from your carpets will reside in a different compartment in the reservoir of the unit. I tested the unit in our front room which adjoins the entry of our home. It is where no matter how many times I tell people not to walk through with their shoes on, someone inadvertently forgets something and treks through with shoes on through this room. I could see immediate results, both on my carpet itself, and in the top of the unit as the dirty water was suctioned in. I had to hold back on my impulse to soak the carpets in cleaning solution once I started seeing all of the dirty solution pull in. The brushes did a great job of loosening dirt. It has been many months since I have cleaned these carpets, I am embarrassed to admit, but our own carpet cleaner broke and so we haven’t made carpet cleaning a priority. 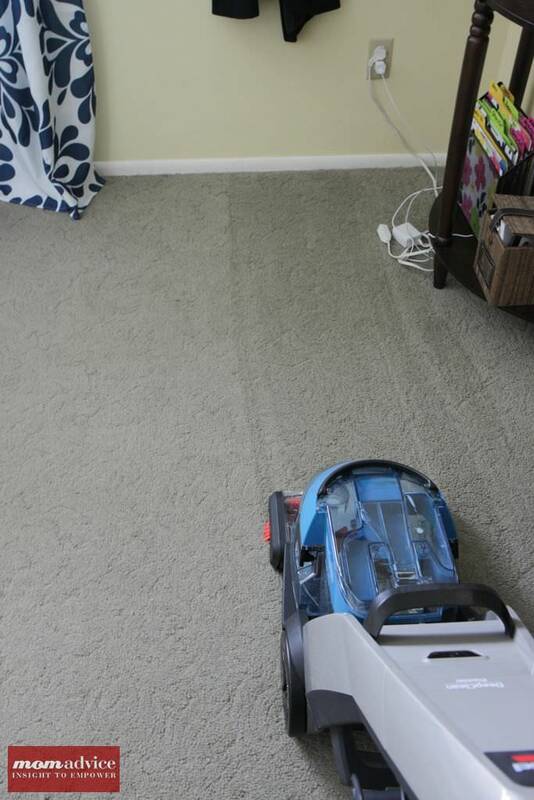 Experts recommend though that you deep clean your carpets twice a year (or more!). Let’s say it has been (ahem) awhile. My favorite thing on the unit is the small hand tool that you can use to clean other areas in your home like your upholstered furniture, car interiors, or to freshen up your mattresses. I am going to be a cleaning fool with that handy tool. After cleaning my front room, this was the sludge that had been on our carpet. Yes, we have been living in absolute filth. No, we are not squatters. I feel like we have fresh new carpets in our home and an investment in this tool would cost a fraction of having the professionals out twice a year to freshen up the floors. Overall, I can find nothing that I did not truly love about this carpet cleaner. Once you get the hang of where all of the buttons and triggers are, it is easy and simple to freshen up the floors in any room of your home. Thanks to BISSELL & Walmart for giving me the chance to review yet another vacuum. You can find a few other BISSELL reviews here like the BISSELL Versus Cordless Vac and the BISSELL Steam & Sweep Hard Floor Cleaner for a couple of other great examples of two more of my favorite BISSELL products.